Jacov Il'ich Frenkel's father, Il'ya Abramovich Frenkel spent six years deported to Siberia because of his revolutionary views. Soon after his release in 1890 he married Rosaliya Abramovna Batkina. Jacov Il'ich Frenkel was the eldest of their children. The family moved to Kazan in the early 1900s and by this time there were four children. I first became interested in mathematics and physics at age 14. By the end of the fifth grade I had learnt the whole mathematics course, and by the time I graduated from the Gymnasium, most of the university course in mathematics, mechanics and physics. Unfortunately, all along there was nobody to guide me, so I had to study on my own. By 1910 Frenkel was discovering mathematics for himself and working extremely hard. he became ill with heart problems which his parents put down to overwork and tried to stop him working during the summer of 1911, encouraging him to rest. 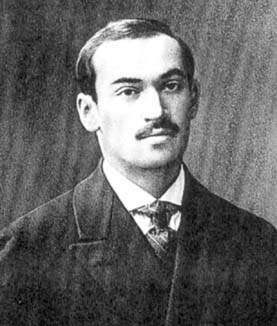 His work was shown to J V Uspenskii, a student of A A Markov, who saw that Frenkel had discovered many results on finite differences for himself. By 1912 he had completed a 250 page paper on mathematical physics in which he studied the Earth's magnetism. Frenkel graduated from the K May Gymnasium in 1913 with distinction and was awarded the Gold Medal. After this he visited the United States, returning to St Petersburg to enter University in August 1913. He graduated in 1916 from the Physics and Mathematics department, remaining at St Petersburg University to study for his doctorate. The political situation became very difficult, however, and he went to the Crimea where a new university had recently been set up. After graduating he began to teach at the University of Tavrichisky at Simferpol in November 1918. Frenkel married Sarra Isaakovna Gordina in the Crimea in December 1920. The couple went to St Petersburg (by this time called Petrograd) in early 1921. There he continued his research on mathematical physics at the Polytechnic Institute. In November 1925 Frenkel set out on a European tour, spending a year visiting Germany, France, and England. Returning to St Petersburg in 1926 (by the called Leningrad) he taught both at the Polytechnic Institute and at the University. 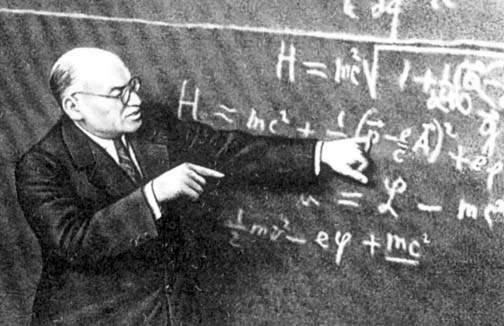 He had already published a number of major books: The structure of matter I (1922), The theory of relativity (1923), The structure of matter II (1924), Vector and tensor analysis (1925), Electricity and matter (1925), and Electrodynamics (1926). You would be a genius if you published ten times less than you do. ... precision was not among his merits. he was always late - for a train, for a seminar, for a lecture. In reply to your enquiry I inform you that I was not late for my lecture since it did not start before I arrived. During World War II the Institute was evacuated in Leningrad and Frenkel left for Kazan in August 1941 to join the resited Institute. He only just made it for two days later the advancing German armies prevented further trains leaving Leningrad. In Kazan he worked on his book Kinetic theory of liquids which was, in many ways, his best work. It was published in 1945. 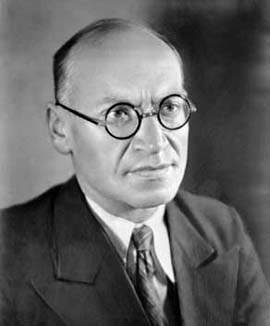 He had become Head of Theoretical Physics at Kazan University in 1942 and from around this time his interests turned towards geophysics. He returned to Leningrad in the spring of 1944 but the remaining eight years of his life were very difficult ones. His work was criticised for not contributing to the construction of socialism. His book were seen to oppose the deterministic Socialist philosophy, particularly his work on quantum mechanics. He was forced into making various statements declaring that his views had been in error just to allow him to survive at all. there is no doubt that the worry of these years contributed to his early death. 1. V Ya Frenkel, Jacov Il'ich Frenkel : His work, life and letters (Basel-Boston-Berlin, 1996). 2. Obituary: Yakov Il'ic Frenkel (Russian), Akad. Nauk SSSR. Zurnal Eksper. Teoret. Fiz. 23 (1952), 613-618. См. также биографию Я.И. Френкеля на русском языке.